Surrender at 20: Red Post Collection: L4T3NCY on "Finishers" outside of URF, new /ALL Chat, Response to Friend Request spammers, & more! Tonight's red post collection includes L4T3NCY commenting on the possibility of unique finisher vfx outside of U.R.F mode, a new episode of /ALL CHAT, Riot TMX & Zulu on the recent wave of friend request spamming bots, Xypherous with a discussion on AotL and how build paths play into itemization, & more. Once URF mode is done, we'll take a step back and analyse the outcomes. In the meantime, I'M A' FIRIN' MAH LAZER!!" "I feel you on the icon. :/ The current equipping method is something else we'd need to look at. Yeah, we could do SFX only finishers but, I don't think they'd really be cool enough. I mean.. people play with their sound turned down, but you can't turn down the LOVE on a <3 Heartsplosion. :)"
"Our Clarity guys wouldn't let us make anything so noisy that you'd want a 'disable option'. They're cool like that. :P EG: Pulsefire Ezreal already does a mini-finisher when he melts you into little bits & bytes, but it's not intrusive at all. 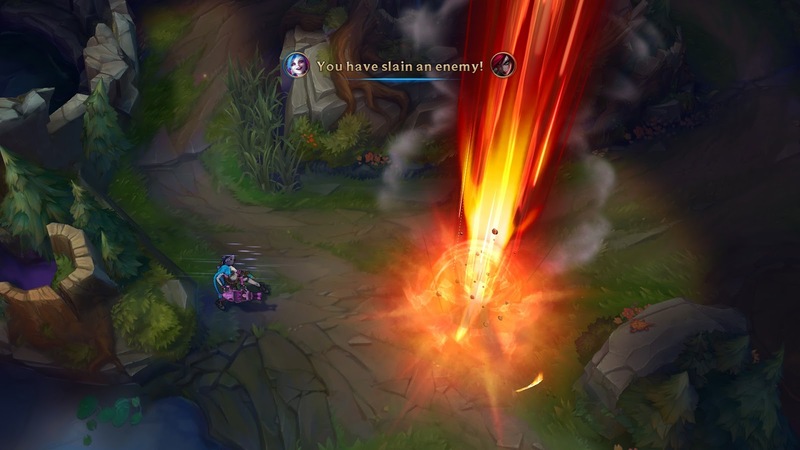 I think PFE and URF mode are probably at the two extremes of what finishers could be." Interested in the three U.R.F icon finishers? 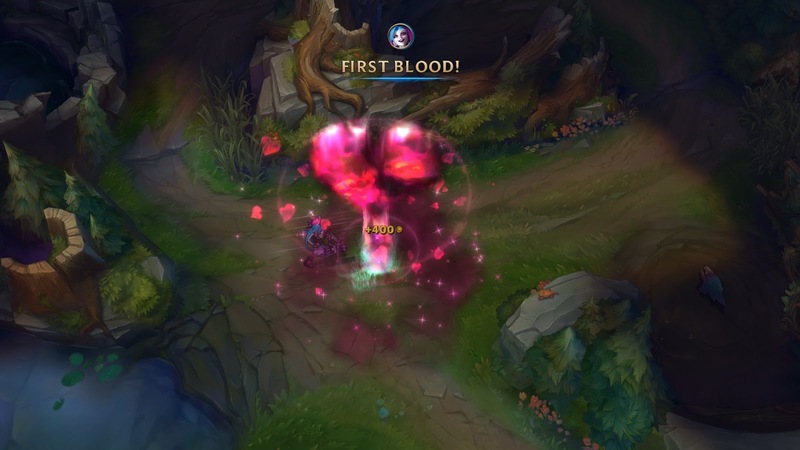 Check out Orbital Laser, Spooky Urf, and Heartsplosion! A new episode of /ALL Chat, Riot's community content round up, is out! "The order is given! Amazing Azir cosplay, 44,000 League dominoes, and chatting with the enemy on this episode of /ALL Chat!" Check out the YT description for links to all of the community content highlighted in this /ALL CHAT! we're obviously aware of the friend request spam problem as we're also getting tons of requests every day. I synced up with our Game Designers and discussed various solutions that could be put in place. We have some ideas that are currently in development, but we also know that spammers regularly adapt their strategy to overcome constraints we put in their way. This is not the first time we defend our players from the spamming problem, so we're approaching it a bit differently. Anyway, we're going to implement some mechanics to stop/reduce the amount of requests, but additionally, we're working on solutions that will let you gather more information about the person that is inviting you. Things like a link to their profile, their level, etc, should help you to distuinguish a legit player from a bot. I'm planning on giving you some more details soon, or maybe ask our Game Designers to describe the problem and our plans form their point of view." We've collected a lot of great ideas on how to tackle each of those points but realistically we need to improve on all of them to fully resolve this challenge. That may take some time to come to full fruition but we'll be patching out individual solutions and tests as we feel like we have good solutions. Limiting lvl 1 accounts from sending invites is a good suggestion but wouldn't in isolation solve the problem. So in short, we're hopeful to see gradual improvement in this spam ASAP, hopefully with a full resolution on the horizon." "We're going to use Party Rewards to test some more stuff in the future, should be soon." "Great idea - we are investigating cool ways to implement banners for the future :)"
Since the components for Aegis is Null-Magic Mantle, Rejuvenation Bead, and Health Crystal. I think its pretty logical for Crystalline Bracer to be included in the build path. Having the 3 components in your inventory as a you await for 820/1000 gold is pretty painful. This change would enable players to build Crystalline Bracer then decide between Aegis, Warmogs, or Righteous Glory. 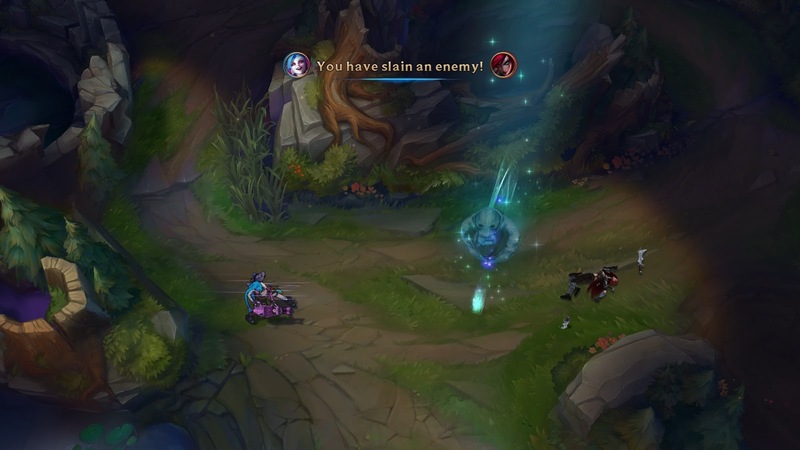 It would really benefit supports/junglers to have more inventory space for wards and such. 1) It allows us to make the final item stronger because the build up was painful or there was a power drop. 2) It makes direct competition harder between similar items when build paths are fragmented and dissimilar. 3) It allows us to force players into a less flexible build path in exchange for more directed power (see also: Raptor Cloak). Having a smooth build path that builds into two primary fighter/tank items would likely result in the following pattern: Legion becomes a powerful option on fighters and tanks. If this proves problematic, we then cost it appropriately to the power level on fighters and tanks end-game. Supports no longer have Legion as an option as the total price of the item would increase by 300 or 400 gold. What's worse, is that if Crystalline Bracer now becomes inherently flexible rather than building into two front-line items - every item that builds out of it loses the gold premium from forcing you into opting into HP/HP/5. That's a heady concept to wrap your head around - but think about Righteous Glory for a second. Righteous Glory is insanely powerful - but a large part of that power comes from the fact that Catalyst is incredibly limiting. Thus, Righteous Glory can be powerful because its build path forces you to commit or have appreciation for a lower power build line. However, let's add an incredibly flexible secondary item into the recipe - like a Kindlegem or something. Suddenly, you now can 'skip' the Catalyst low point - which would mean Righteous Glory's power needs to drop accordingly. By making Crystalline Bracer build into both MR, team support as well as front-line or initiate item - you make Crystalline a very powerful buy. Thus the end power level of all the items it builds from needs either lower power in the item or a more expensive final cost. I'm not saying it's a bad idea to do this - I just want to give some context into this as the relationships between items, build paths and components are a pretty fascinating tangled web. Likely, I think the end result of is: Top / High Income Fighters / Tanks get to add Legion into their build as a flex pick - and it becomes even more expensive for support due to the gold cost increase to account for their innately higher incomes - which could be good if we wanted to push these guys to become more team centric and we wanted Aegis Aura to be less of a support item." "It depends on what your goals are. To me, it sounds like the original poster would like to make it feel better on supports - and I'm fairly certain that the long term effects of the change would make it a tank or fighter item and secondary on supports." Have you guys considered creating a third big MR item lately? I know the tanks are really strong right now, but sometimes SV+Banshee's don't feel like enough MR to hold the teamfights, something a little better than MR items options other than that I mentioned? It's hard making MR options due to the fact that our basic stat affinities are kind of off. Case in point: Take Shen. He needs MR. He has no base resistances. So in order for Shen to satisfy his MR needs, you need to make some pretty high powered MR stuff to make Shen feel good about MR. However, on the flip-side - you get a character like (Riven/Wukong/Choose your favorite example of ebil fighters here) - who has great synergy with MR and base MR per level. They're weakness should be concentrated magic fire to some extent as they can easily outduel mages 1:1. You make a heavy MR item that can satisfy Shen's need and these other characters who have innately higher incomes will absolutely destroy mages with the item intended to satisfy Shen's MR needs. Are changes to Zeke's Herald possible? I can poke around. I'm sure I can find someone who'd been keen to work on Zeke's. It's certainly one of those 'This is kind of awkward' items that didn't work out during the S3 item redos." Got deep pockets and a love for U.R.F? 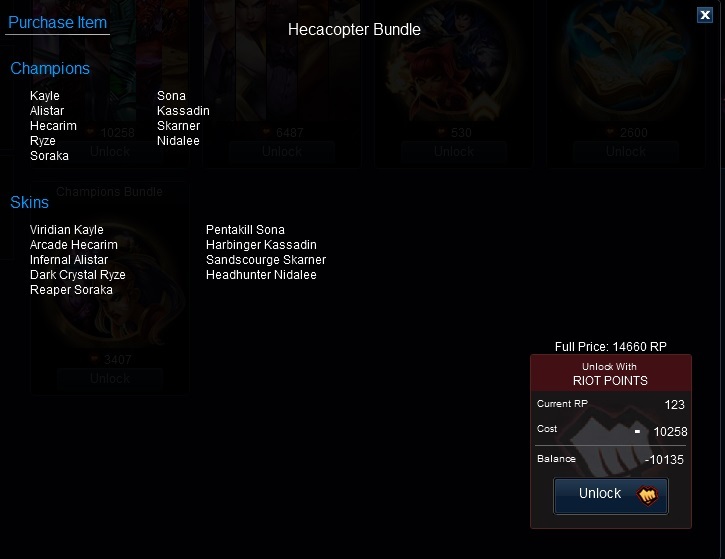 A new Hecacopter Bundle has ponied its way into the shop! This limited time bundle includes 9 champions and 9 skins for a discounted price of 40% off, a total of 10258 RP if you need absolutely everything.